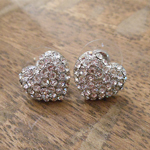 These adorable little rhinestone heart earrings really sparkle! They have a silver toned background with clear rhinestones throughout. 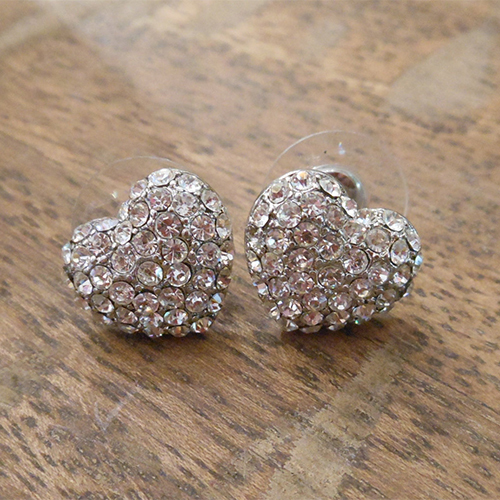 They come with round earring backs for added comfort. The hearts measure just under 1/2 of an inch long. These will look great with any outfit.